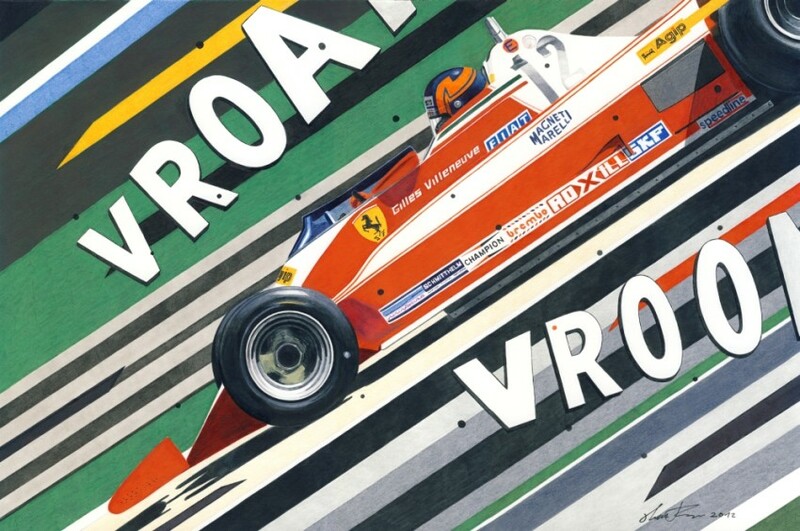 Gilles Villeneuve is one of the most celebrated F1 drivers in the history of the sport. Here we can see him driving a Ferrari 312T3, during the 1978 USA Grand Prix. Sadly he left us way to soon. Markers and crayons on A3 paper.